ZTE Indonesia, a subsidiary of China's ZTE Corp is entering Indonesia's tablet personal computer (PC) market by launching its ZTE Light Tab on Tuesday. 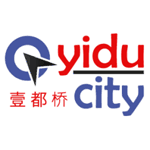 The launch was a follow-up of its success in markets of Europe, Japan and Malaysia. "ZTE Light allows Indonesians to enjoy new experiences on entertainment and Internet access," said Susanto Susilo, director of gadget division of ZTE Indonesia. Construction of the long-awaited Shanghai Disneyland theme park started on Friday, injecting new momentum into China's biggest city economy. The move comes as the eastern financial hub's economic growth has lagged the national average in the past three years and the project is poised to give the development of the city's service industry a shot in the arm, experts said. During SIAL China, visitors will have even less time to waste, because time flies when having good time. With more than 350 exhibitors show-casing their quality wine and spirits, professional visitors could only wish for a longer journey. In wine there is truth. At SIAL China, here is the amazing truth. An entire hall larger than 12,000sqm is dedicated to Wine & Spirits, with more than 20% of highly intrigued professional visitors looking into this sector. A Chinese proverb says, “A thousand cups of wine do not suffice when true friends meet, but half a sentence is too much when there is not meeting of minds.” SIAL China can be classified as the international trade event of the year for like-minded buyers, distributors and professional visitors to rendezvous. Models in bright green pants and pink polo shirts played a table soccer game at the Lacoste L!ve booth, at the Novomania International Fashion Trade Show, to introduce the company's new line of products. 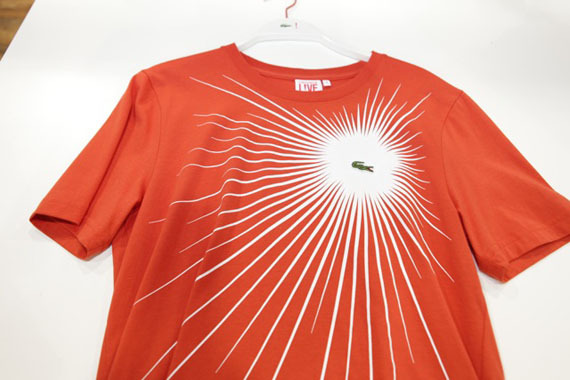 It was here that Frank Cancelloni, Asia-Pacific CEO for Lacoste Fashion, announced the launch of Lacoste L!ve, for customers who are "young at heart". Until last year, General Motors Co's (GM) China marketers advertised the Chevy Cruze sedan with spy thriller-themed spots featuring Wentworth Miller, the star of the TV show Prison Break. PHASE 1 of Shanghai Disneyland will cost a total of 24.5 billion yuan (US$3.73 billion), Shanghai Mayor Han Zheng said in Beijing yesterday. "I have read some media reports about the Disneyland investment, but they were incorrect," said Han, who was attending the ongoing annual parliamentary session in Beijing. "I thereby clarify the figure seriously. 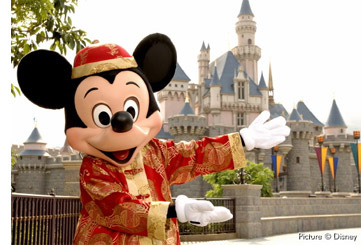 The approved investment for the first phase of the Disneyland project is 24.5 billion yuan," he said. 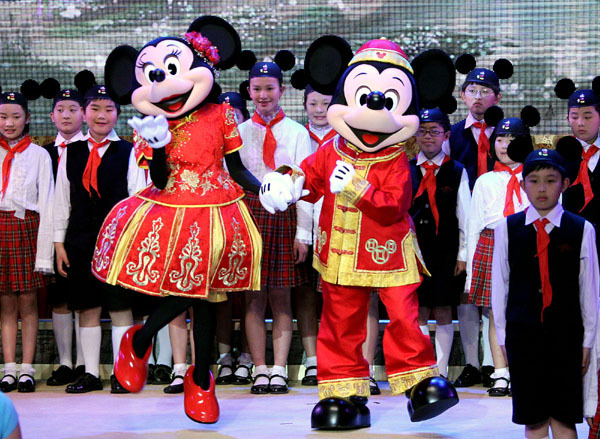 The long-awaited theme park project in Shanghai was launched in November last year, when the state-owned Shanghai Shendi Group Co Ltd signed a deal with the Walt Disney Co. It will be the first Disneyland theme park on the Chinese mainland and sixth in the world, and the United States entertainment giant's third theme park in Asia after Tokyo and Hong Kong. The Shanghai International Tourism Resort Administrative Committee will manage the project. The first phase of the amusement park in the Pudong New Area is expected to attract 7.3 million visitors a year when it opens in 2015. Shanghai Disneyland will feature three theme parks - "Magic Kingdom," which has already been announced, and possibly "Epcot" and "Animal Kingdom." A draft plan unveiled by the Disney company showed water to be a major feature of the park with numerous lakes and creeks and a castle and a mountain. Tom Staggs, chairman of Walt Disney Parks and Resorts, has described the park as the "most exciting opportunity since Walt first bought land in Florida in 1964." The Shanghai government regards the Disney Park project as an important step in its bid to build the city into a world-class tourist destination in the next five years. The city government recently announced plans to build a dedicated Disneyland Metro line. The subway service will have three stops including a terminal station called the Disneyland Stop. The first phase of the park will cover about 1.16 square kilometers while service facilities such as parking lots and dining areas will occupy up to 2.74 square kilometers. Construction could begin as early as May while work on roads surrounding the site has been ongoing for months. About 2,000 households and 297 enterprises have been relocated from the site to make way for the park. 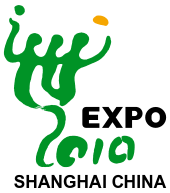 The organizers of Expo 2010 Shanghai China are confident the multi-billion-yuan attraction will turn a profit, even though the final numbers have not yet been audited and announced. "According to our preliminary data, we're sure that we've made both ends meet and it is very likely that we have made a profit," said Hong Hao, director-general of the Bureau of Shanghai World Expo Coordination. Hong said during an exclusive interview with China Daily on Thursday that confirmation of the numbers rests with the National Audit Office and the bottom line may not be made public until May. SHANGHAI Municipal Government and China's Ministry of Commerce signed an agreement yesterday to build a new exhibition hub in Hongqiao area as part of the city's plan to become the world's leading international trading center. The project will take up an area of 1.04 square kilometers, consisting of exhibition halls, logistics facilities and other amenities. Shanghai Expo Group and the government-backed China Foreign Trade Center have agreed to set up a joint venture as the major investor. 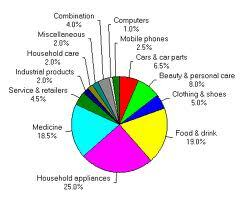 The project will cover domestic and overseas trading, imports and exports, and the exchange of goods and services. "Exhibitions are crucial to trading," said Sha Hailin, deputy secretary-general of Shanghai Municipal Government, "Development of the exhibition industry will significantly contribute to economic growth." "The actual capability of the city is not fully realized due to limited exhibition areas," Sha said. 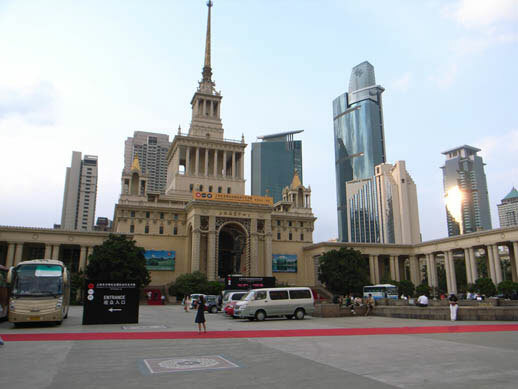 He predicted that Shanghai's exhibition industry will grow by 15 to 20 percent in the next few years. Shanghai's Hongqiao commercial area, covering 26.3 square kilometers in west shanghai, is on the metro line and is home to an international airport and a railway station which were designed to handle 1.1 million to 1.4 million passengers every day, making it an ideal location for an exhibition center. To catch a glimpse of the mystical northern lights, ride scooters across snowy forests, or catch a 15-kg king crab from the cold sea, is a privilege that is being enjoyed by more and more wealthy Chinese. The "Chasing Northern Lights" voyage in Norway is among the various European travel packages promoted by Chinese travel websites as well-off Chinese people's enthusiasm for traveling to Europe rises. The nation's major online travel booking companies, such as Nasdaq-listed Ctrip.com and Elong.com, have seen their revenue from European travel products at least double this year, compared with the same period in 2009. "I never imagined such a big surge in travel to Europe this year," said Zhang Xiaojun, assistant general manager of Beijing Ctrip International Travel Agency. CHINA Central Television auctioned off its 2011 advertising spots last night for a record 12.67 billion yuan (US$1.9 billion), up 15 percent from a year ago. Industry confidence among advertisers pushed up the average price for CCTV ad space, said He Haiming, deputy head of CCTV's ad division, without revealing specific figures. Shenzhen-listed Wuliangye Yibin Co, a major domestic distiller, outbid Shanghai-listed rival Kweichow Moutai Co as a nine-month sponsor of the clock that appears just prior to the 7pm CCTV newscast. It paid 405 million yuan - the highest price paid for an ad space at the auction - as the nightly newscast is one of the country's most watched programs. Domestic distillers spent 1.9 billion yuan on ad purchases this year. Chinese Jing Wine, Wuliangye and Luzhou Laojiao ranked in the top three in almost every round of bidding. 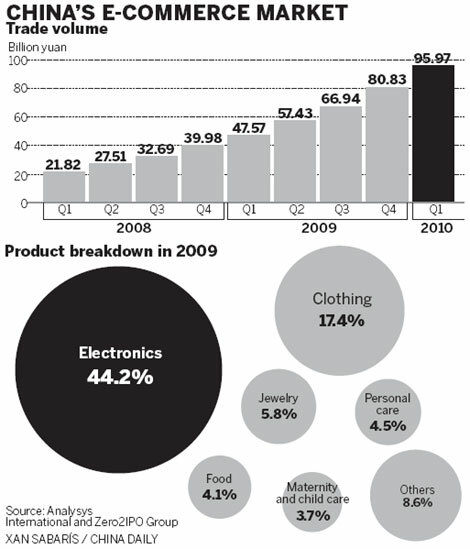 The companies spent a combined 1.16 billion yuan on ad space. "Distillers usually attach great importance to building their brands, and they will continue to flex their muscles in the future," He said. With growing sales online, food may well be the next hot commodity in China's e-commerce market. Mobile phone customers will have to present ID when purchasing a phone number from Wednesday, in the latest campaign by the government to curb the global scourge of spam, pornographic messages and fraud on cellular phones. Foreigners will also need to register with their passports or other ID in order to subscribe to mobile phone carriers.